Interest on Lawyer Trust Accounts (IOLTAs) provide the disadvantaged with vital access to justice. They make legal representation possible for those who couldn’t otherwise afford it, but the program’s rules are complex and there are serious consequences for non-compliance. Not only does the bar association have guidelines for reporting IOLTAs, there are also mandates requiring detailed balance sheets for each individual client’s deposits and disbursements. When it comes to IOLTAs, failure to comply with these complicated rules can result in stiff penalties and even disbarment. IOLTA accounting & reconciliation is time-consuming, too.It diverts valuable time and attention from your clients, negatively impacting your entire practice. That’s where Balancing Act comes in. We can help you set up the proper system to keep you on track and in compliance, and the process is remarkably simple. 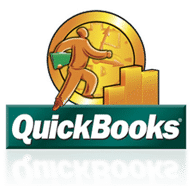 We know the ins and outs of IOLTA regulations and we’ve developed a proven, user-friendly system using QuickBooks desktop. It addresses all of the necessary IOLTA checks and balances, so you can feel confident that you have a clear understanding of what comprises the trust account balance at all times. Producing accurate audit reports that satisfy IOLTA compliance requirements has never been easier. If you’re ready to say goodbye to the hassles of IOLTA accounting, contact usor call 410-321-8987 today.